The US department of energy's Oak Ridge National Laboratory has joined the group of organisations claiming they can fabricate graphene on a large scale. 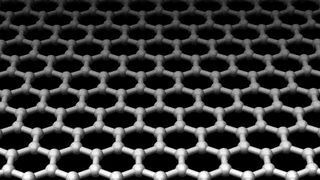 Graphene is something of a wonder material - it's stronger, lighter and more conductive than almost anything else we know. But while it's easy to make in small batches, it's a pain to make in bulk. For years, various groups have claimed that they've cracked a way to do it, and several have been patented. The latest to join the party is Oak Ridge National Laboratory, who want to use chemical vapour deposition to accomplish the feat. The benefit of this approach is that it leaves 5cm x 5cm films of graphene sandwiched between sheets of polymer so it can be easily used in commercial applications. Others who have tried this approach ended up with flakes dispersed over the polymer, but Oak Ridge seems to have cracked a way to even things out and get a much more conductive sample. If they can do it cheaply and reliably, then the researchers envision the substance being used in aerospace, the automotive sector, construction, electronics, energy and manufacturing. The details of the method were published in Applied Materials & Interfaces.